One cold night in a boarding school dorm, two fourteen-year-old girls make a blood sister pact. Friends forever. As young schoolgirls, they’re determined to find true love, learning the hits and misses along the way. As graduation nears, the girls have different outlooks for the future. Lucinda longs for adventure. Anna chooses city life and marriage. 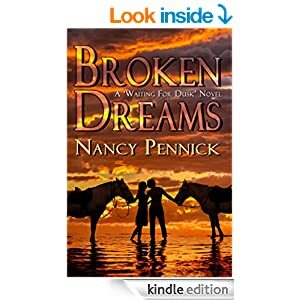 Finding their way back together, the girls head west for an experience of a lifetime until a handsome cowboy bursts into their lives, changing the course of their friendship forever. All through school, tomboy Jen, snobby Georgina, hippy Meg and gentle Rowan, were inseparable. Until, that is, the unfortunate consequences of a childish prank tore them apart. As adults an attempted reunion went disastrously wrong. Rowan failed to appear. Meg behaved outrageously and – sharpest cut of all – Jen discovered just how deeply Georgina had betrayed her. In this dark retelling of a classic Cinderella tale set in 1818 Denmark, a poverty stricken woman accidentally kills the first born son of the king and soon finds herself blackmailed into marriage by the very man who witnessed her commit the crime: her victim’s younger brother. Nicknamed for the ashes she acquired during her chimney sweeping days, twenty-three year old Cinder has been living alone in a one bedroom rundown cottage in her small village in Hadenville, Denmark since she was twelve years old. For years, she hunted the woods and forests for food and has committed numerous acts of thievery within the village in order to survive. While in search of game near the king’s palace one night, she comes across Willem, a known drunkard and apprentice to the king, who accuses her of trespassing. To keep from dying at his hands like so many maiden’s have before her, a fearful Cinder runs for her life, but is caught by Willem who assaults her. They tussle before she pierces his heart with her sword and rolls his body into the flowing rivers at the far end of the forest. When she hears the Sheriff and his men searching for Willem and the girl he was chasing, Cinder dashes off into the night unscathed. The next day, she learns the king has offered a reward for any information regarding Prince Willem’s death and panics. Taken aback by this previously unknown information, Cinder concludes that Willem was the illegitimate son of the king and his first mistress. Figuring the residents have already begun making false accusations against one another in the hopes of receiving compensation, she remembers that someone saw her in the forest and may have witnessed the murder. Believing her fate will soon be sealed by this nameless, faceless stranger, Cinder travels to the village square for one last act of thievery after a month of laying low and learns of the king’s plan to invite all maiden’s between the ages of 18-25 to take part in a mating game with his other son, the very handsome and regal Prince Norvack. The goal is to find him a wife for his twenty-seventh birthday. Though intrigued by the proposition and benefits, she ultimately refuses to sign up for the game, fearing that being too close to the royal family will indeed expose her crime. 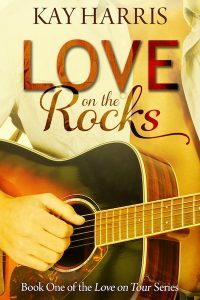 A rejected Norvack later confronts her at her cottage and confesses that he has been in love with her since they were children, hoping she feels the same. When she rebuffs his advances, he angrily admits that he was the one in the forest the night she killed his brother, but agrees to keep her safe in exchange for her hand in marriage. She reluctantly agrees after much debate, and soon thereafter moves into the palace. On the night of their wedding, Norvack is sent into battle with the King of England and falls from his horse, injuring his back. Now his wife, Cinder must care for him and as a result, begins to see a different side of the roguish prince. Realizing she’s falling in love, she becomes more vulnerable to his advances and forms an unbreakable bond between them. But when the Sheriff gets wind of Cinder’s crime, will he allow them to live happily ever after? Or ultimately ruin their chances by exposing her truth to the king, sealing her deadly fate? Kiki Leach was born and raised in Oklahoma City, OK where she still resides. As a child she was surrounded by books, pens, and notepads, all of which she quickly took advantage of from the time she could read and write. Her favorite past-time has always been telling stories and in college, was encouraged by her mother and professors to take her storytelling more seriously. I wrote the book originally in 2010 after experiencing some personal losses. The original theme of the story was “death”. But after awhile of realizing that over half of the story wasn’t up to par and didn’t measure up to the potential of the characters, I put it away for three years. In early 2013, I dusted the story off and started from scratch. Unable to let go of the characters I created, I decided to change the theme from death and “life”, enhanced character motivations and revamped the overall premise of the story, taking it from “young adult” to “adult”, from a general historical, to “historical romance”. The year is 2011 and the place is Ireland. Libby Finn is still shadowed by grief after the death of her husband Max. The era of the ‘Celtic Tiger’ has come to an end and the young widow has managed to survive the economic downturn better than most. However, despite seeming to possess every obvious advantage, Libby is resigned to a somewhat-less-than-rosy future, and one destined, in her opinion, to be without a great romantic love. While many, including her best friend Jules Mahon, may think that they know what’s best for the gorgeous and talented Libby, the girl herself has other plans, and they don’t include a love story! These plans are for a place, a childhood dream, a country estate called Alice-Rose. Nevertheless, love has a way of finding those destined to have it, especially in a place where two evenly-matched hearts find the opportunity to know each other well. Libby’s dream estate becomes more than she has bargained for when it introduces her to a passionate love interest who himself has been ‘burnt by the fire of love,’ and a match played out with earthly concerns follows a difficult path to romantic paradise. Apart from the obvious differences, I don’t think that writing in the different genres differs very much from one to the other in so far as the writer should be passionate about whatever the subect matter is in order to make it work well. The story of ‘Alice-Rose’ evolved naturally over time and changed its course quite dramatically from the one I had in mind initially! This was mainly due to the realisation that I needed to add more meat to the bones of the story; otherwise it would have ended up being “a boring old gallop to the end.” And for that I needed to change the storyline quite a bit! Personally, I think it is very important to write about what you know, and secondly, that it is something that is close to your heart and that you can be passionate about. I think that you must love your characters even if they themselves are hateful individuals – again, you have to feel passionately about them and you have to believe in them. I suppose I’ve discovered that writing is a bit like gardening, of which I am an avid fan; you can’t stick a plant, or a plot, where you want it to go and expect it to grow if the ‘setting’ is wrong – it will never work! A plot has to feel right and give you options, in other words be in the right setting, in order to work. I feel that the plot should feel fairly right in one’s head before one should proceed, otherwise persisting with a storyline that is not gelling in your mind will just lead to frustration and probably leave you wanting to give up on the whole ‘writing idea’ altogether. 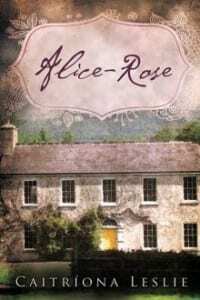 On the whole, I found the subject matter of ‘Alice-Rose’ very easy to work with for a number of reasons – I am passionate about old houses, I value family highly and I was lucky enough to have a number of close friendships to draw upon for inspiration when it came to writing about the dynamics, and the rewards, of a long-lasting one. Unfortunately, getting published didn’t prove to be so easy. I sent the first fifty pages of the manuscript to several agents, all were very positive except for Marian Gunn-O’Connor who said that my writing style needed work- she was right! I got back down to the job of improving my manuscript and then I left it on the shelf, too weary to think about approaching another agent. Most had said that they weren’t taking on new authors and others said that it wouldn’t fit on their particular lists. In the meantime, word was spreading among family and friends that I had written a book. Those who read it claimed to love it. Then one day I received two newspaper cuttings in the post from my sister-in-law’s mother about the very successfully self-published author Amanda Hocking and the possibilities of self-publishing. It inspired me. And here I am now, three thousand euro poorer but free from the manuscript gathering dust on the shelf. 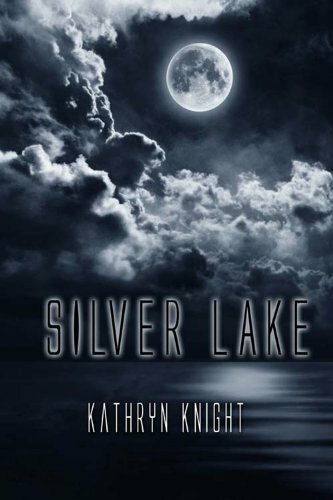 I self-published through Xlibris (an unlikely name in some regards…not as reassuring or as familiar as Amazon) using the premier package and found the experience to be a very positive one. For anyone out there who has ever thought about writing a book, the best piece of advice that I ever read was just sit down and do it! If you don’t make the time, it will never happen. Lastly, many thanks to all who have bought, or intend to buy, ‘Alice-Rose’. I hope you enjoy the story and that it provides a little restorative distraction. Kindest Regards, Caitriona. I grew up in County Westmeath, Ireland. I have a Master’s Degree in Biomedical Sciences and I work part-time in the field of solid organ transplantation. I now live on a farm in County Longford with my husband and our three children. I initially thought (absent-mindedly) about the possibility of writing women’s fiction – I love a good old-fashioned love story, but there has to be more to the story than a gallop to the end. I want to enjoy the journey along the way and I want a book where every sentence is worth reading. If I feel the urge to start skimming through the pages then I know that the end is nigh. I got married in 2000 and continued to work fulltime in Dublin for another two years; my husband and I ‘enjoyed’ a weekend marriage – no thought nor time for writing during this period. In 2002 I finally went job-sharing and moved to live full-time with my farmer husband in County Longford. Sadly, both my parents-in-law had passed away the same year that we married and so Timmy’s family home, which was a 1970’s bungalow, became our ‘new’ home. The next year saw me undertaking a lot of DIY and having our first child, but no pen was put to paper; I was far too busy doing other things! Four years and three children later, and the idea of trying to write something even vaguely interesting was beginning to take shape in my mind again. By that point, I was beginning to realise, and more importantly to fervently hope, that in time, there would be more to my life in the home than ‘worrying’ about the housework and what was ‘for the dinner’. I also knew that I wasn’t the type of woman who would enjoy ‘frittering’ my time away in the long term by meeting ‘the girls’ for coffee and lunch. And besides, my country sisters were far busier that I was – they were not accustomed to a life of idle either! I eventually started writing about five years ago with little success, I found the demands of three young children incompatible with the task…I could never get a good run at it! When our youngest child started school in September 2010, I was then able to apply myself. I discovered that the more I wrote, the more I enjoyed it – escapism is a wonderful practise! It became less a case of “I should really sit down and try to write something” and much more a case of prying myself away from the laptop to make the aforementioned dinner before the kids came home from school. Towards the end, I was constantly roping in my ever-supportive husband to pick up the kids and to cook the dinner!